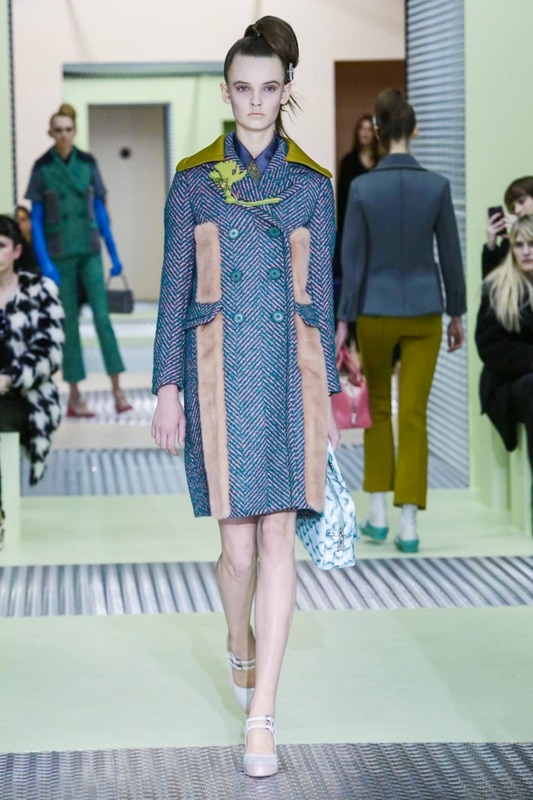 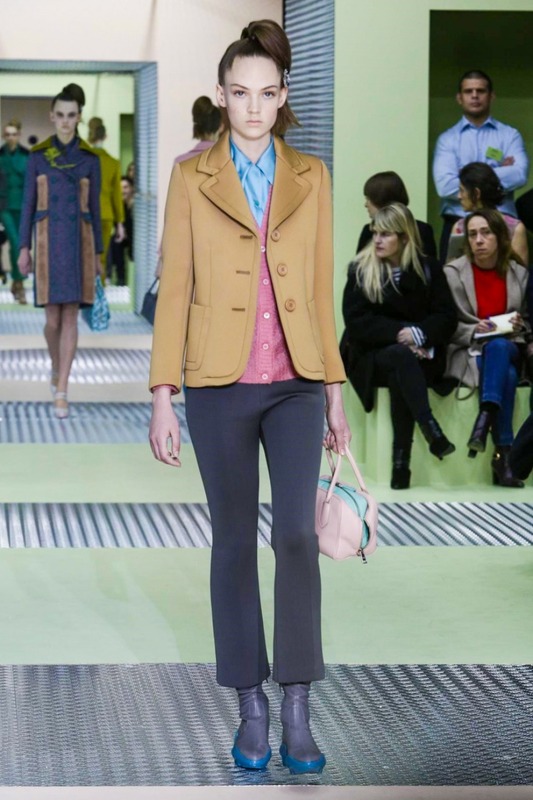 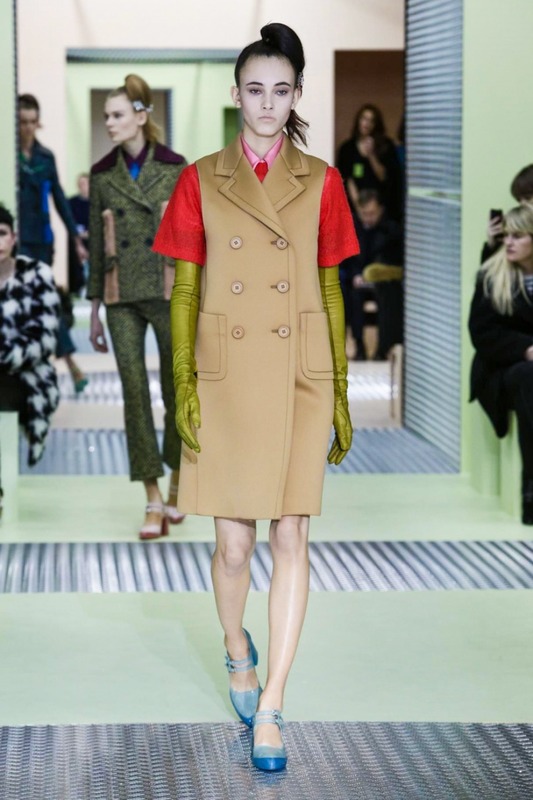 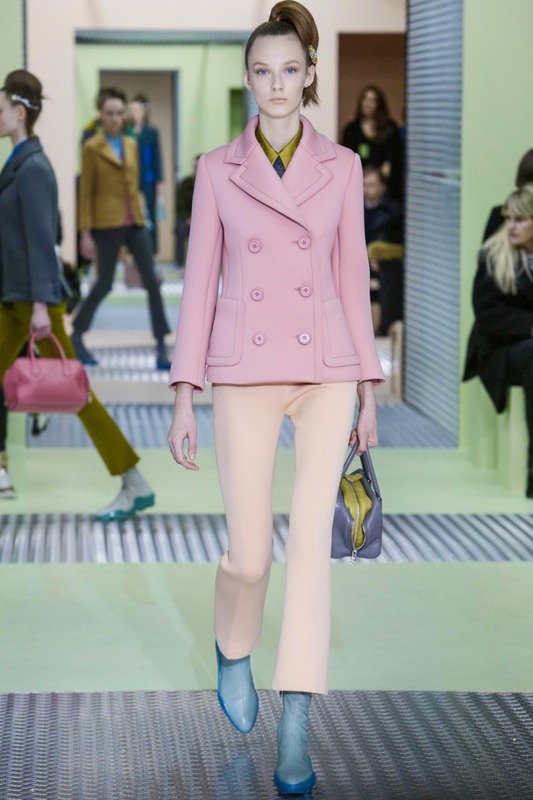 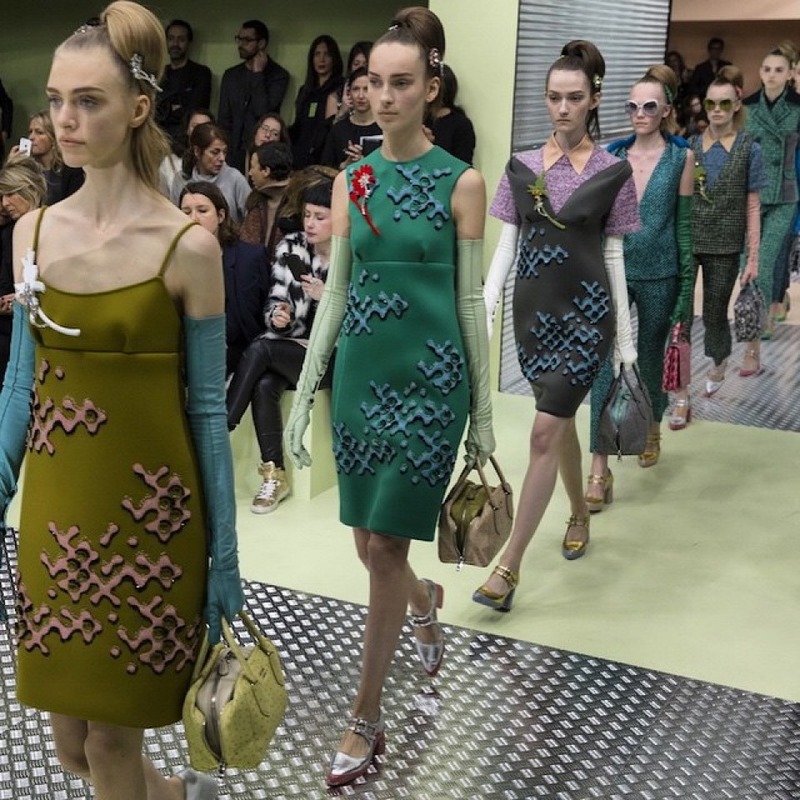 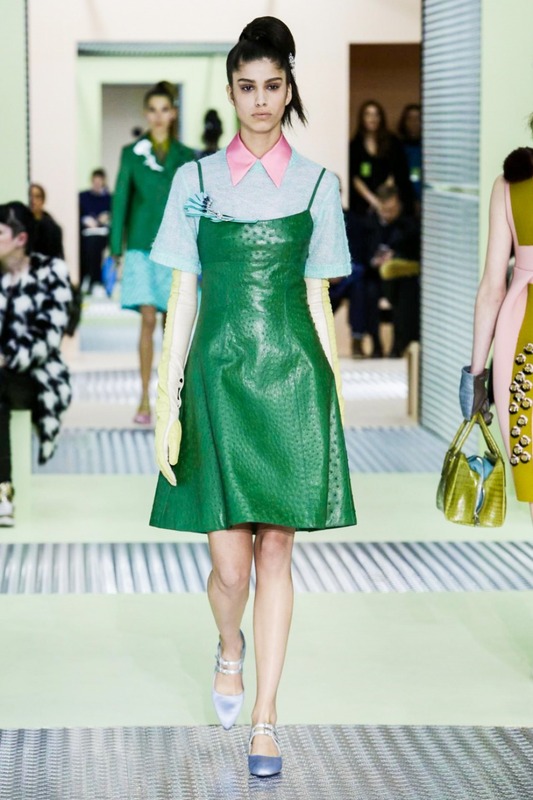 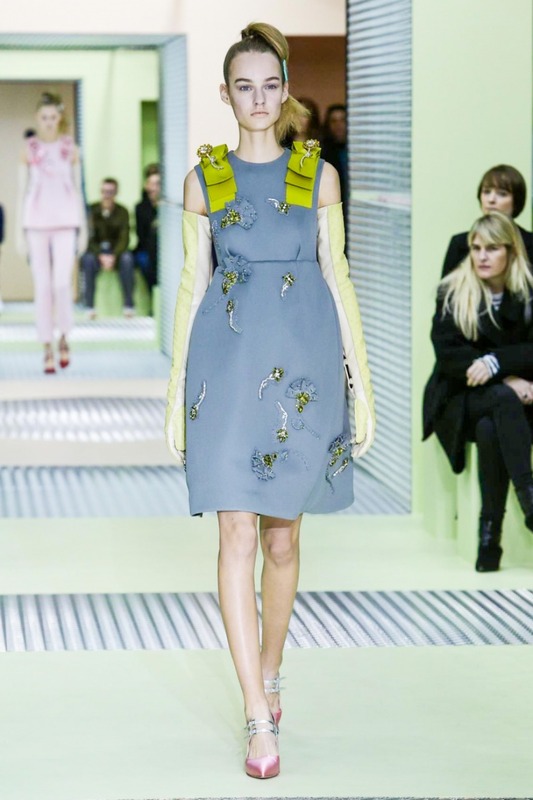 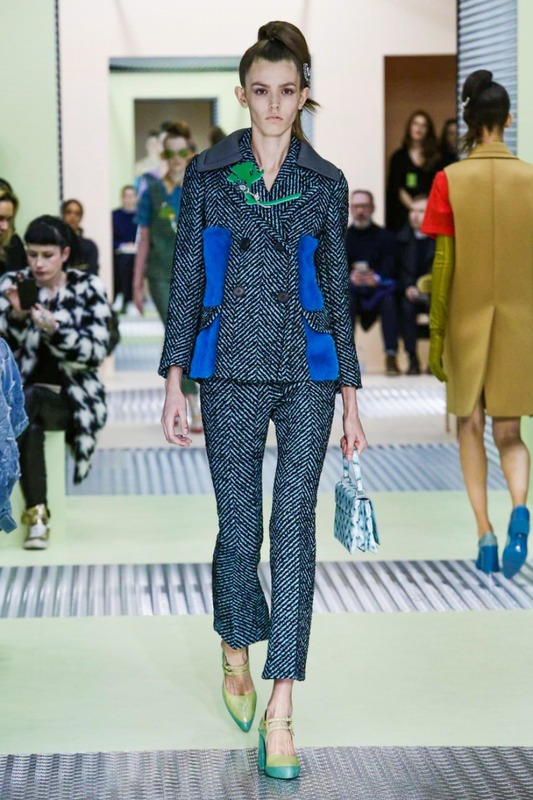 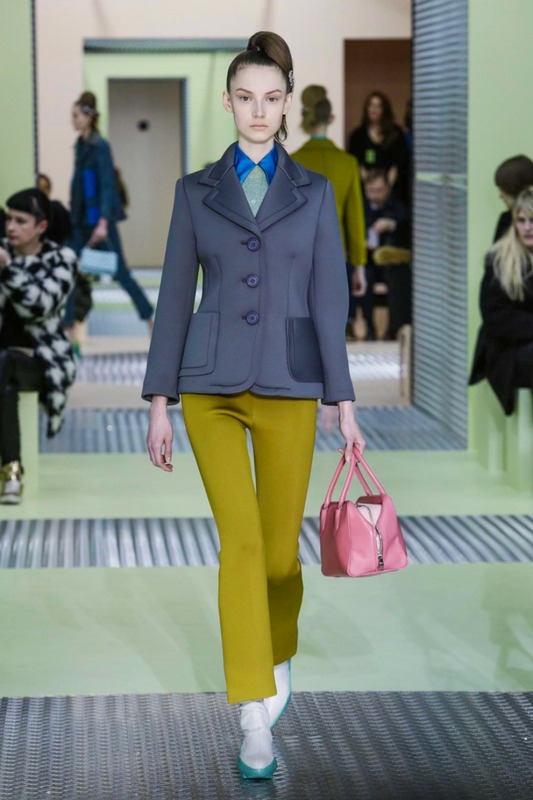 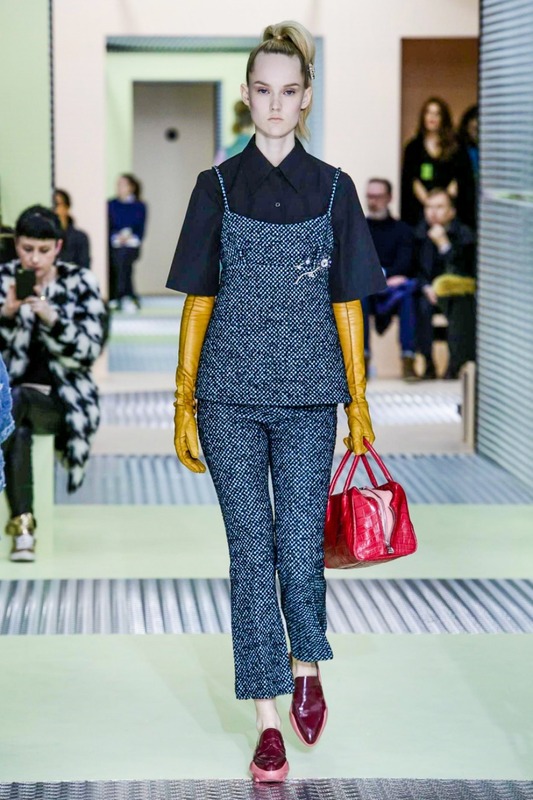 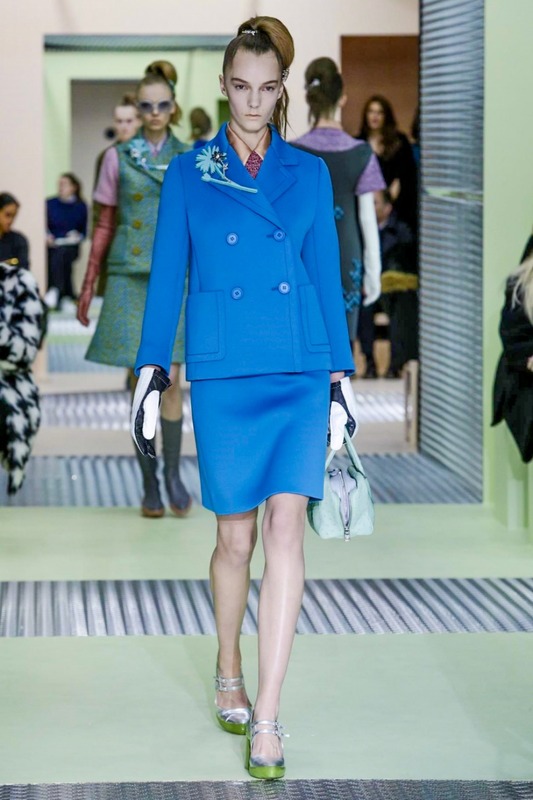 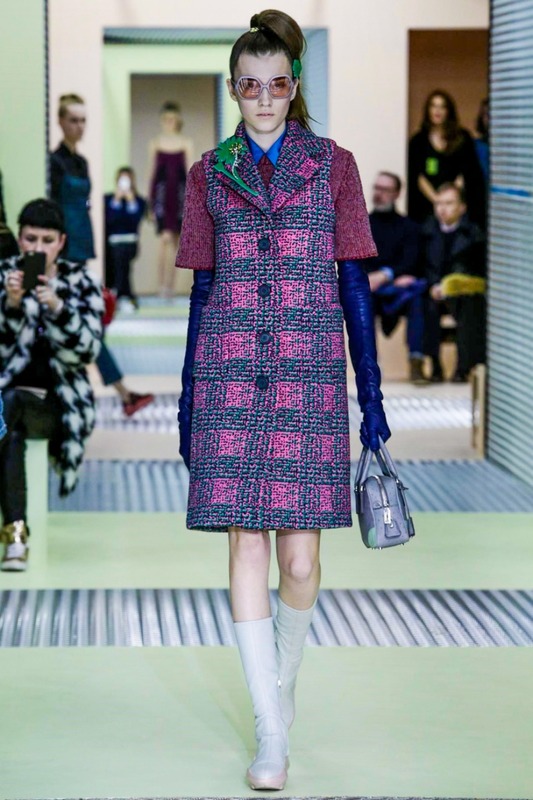 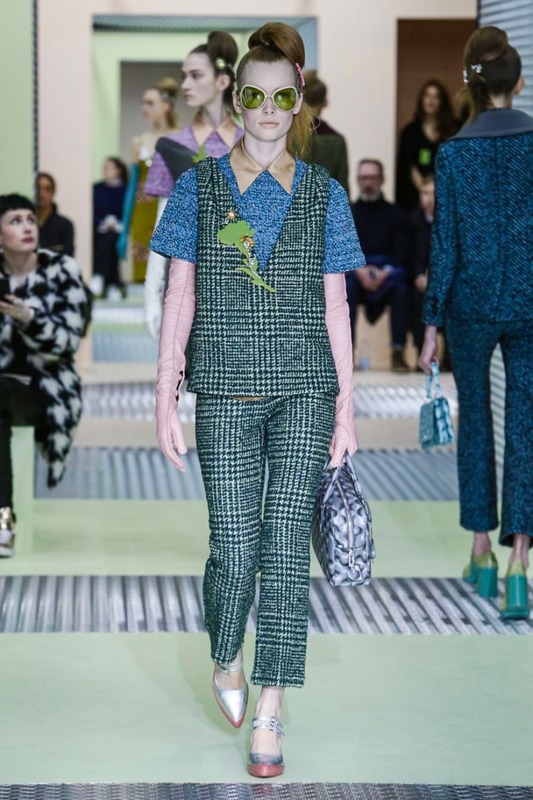 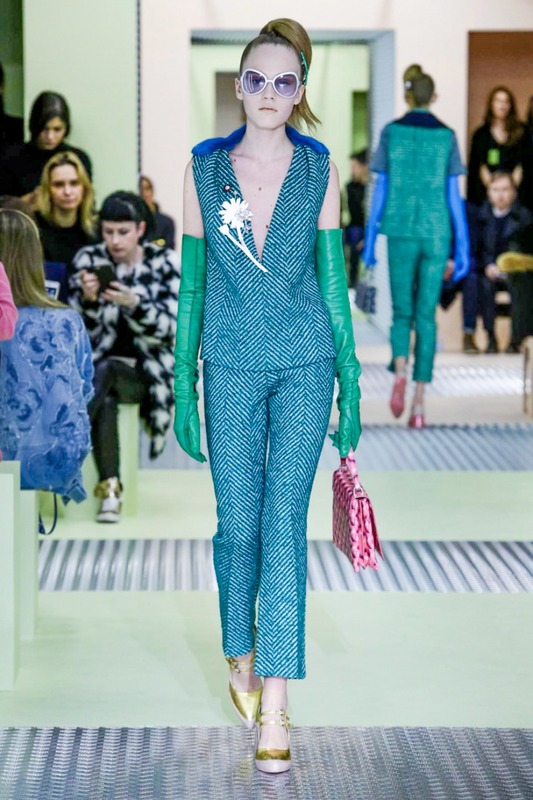 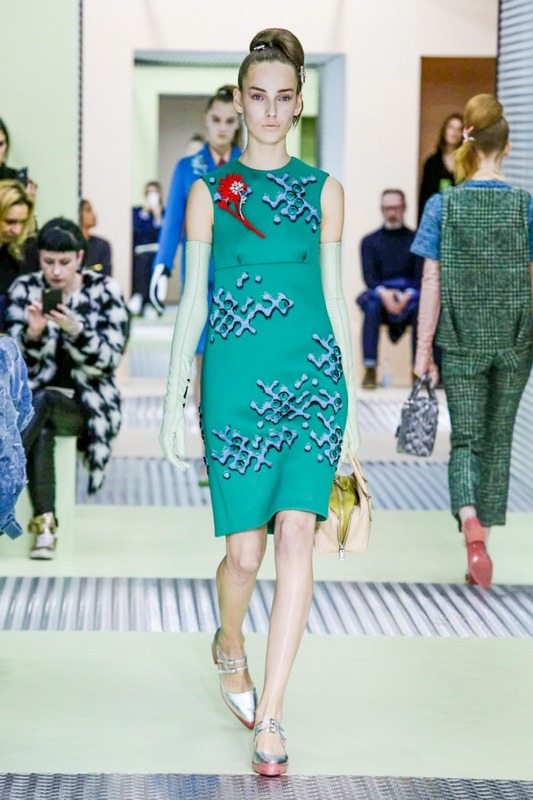 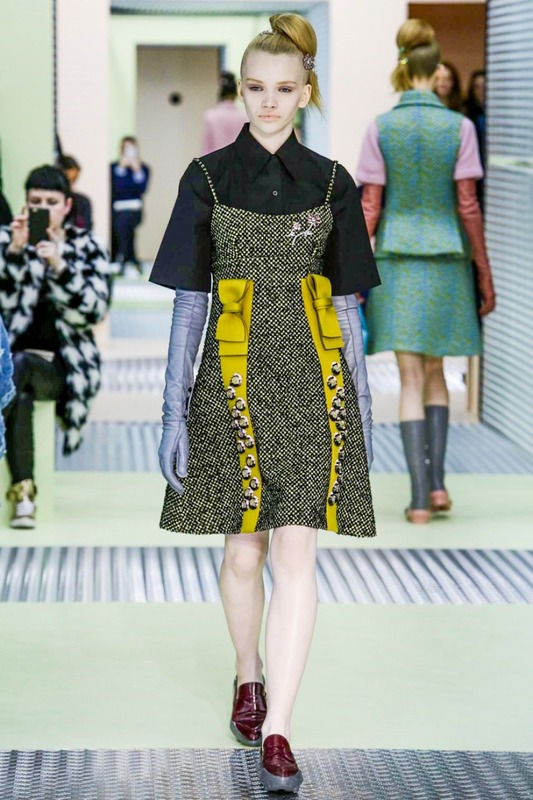 Prada Fall/Winter 2015-2016 collection – *Ladylike* chic for fall season! 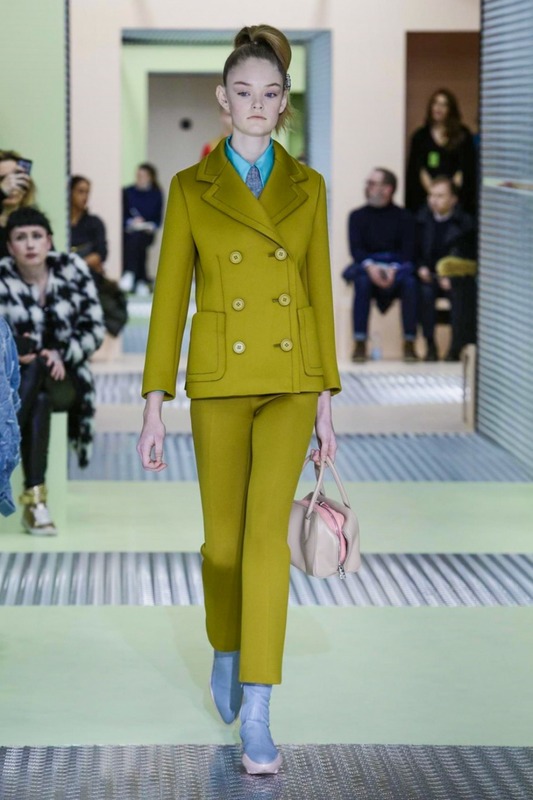 This was a triumphant season for Miuccia and her team with a collection which harked back to classic, early Prada shapes and ideas . 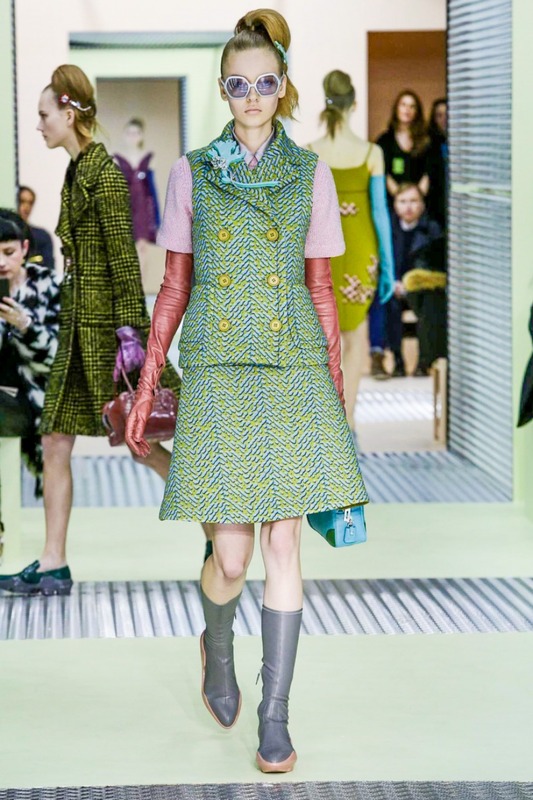 Prada Fall/Winter collection is beautiful and had a strong, clear and young message, and Sixties vibes but brought right up to date. 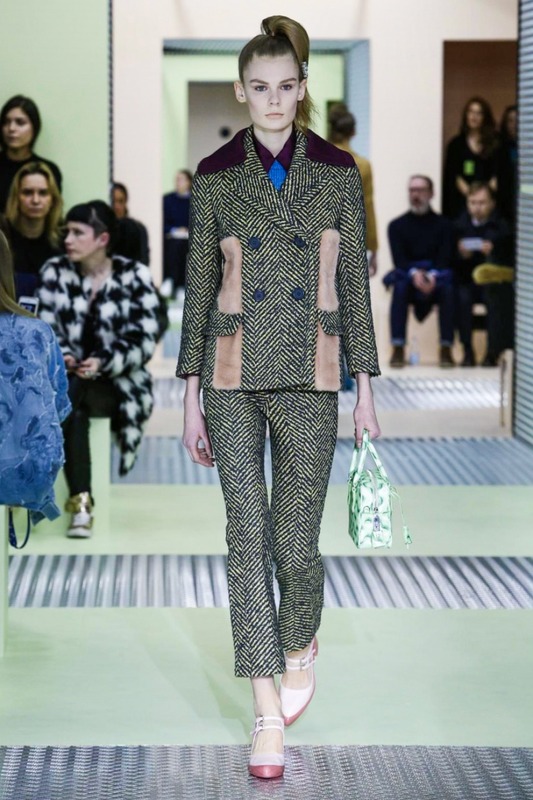 Spongy layers of jersey were cut into perfect short trousers complete with the slightest kick flare and matching double breasted jackets were young without being cutesy. 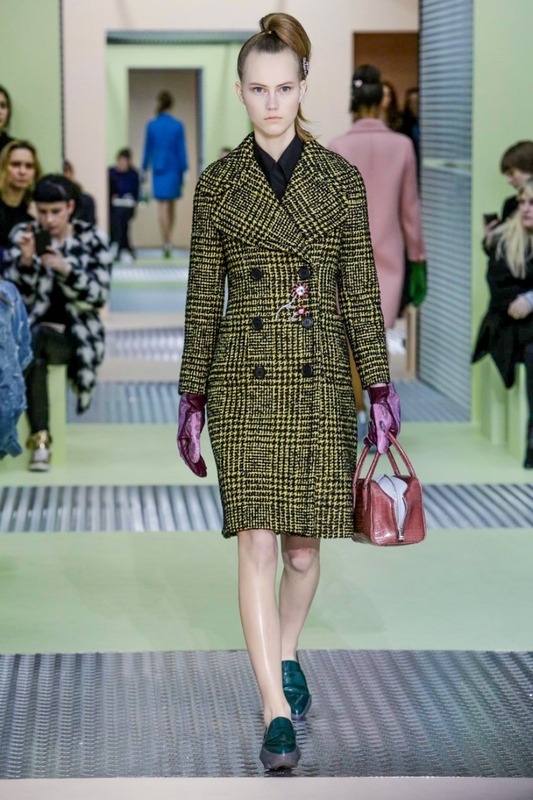 Leather gloves pulled high up the arms, tweed and fur panels were all lifted and softened by Miuccia’s masterful use of colour while a peppermint cream ostrich jacket was new luxury at its finest! 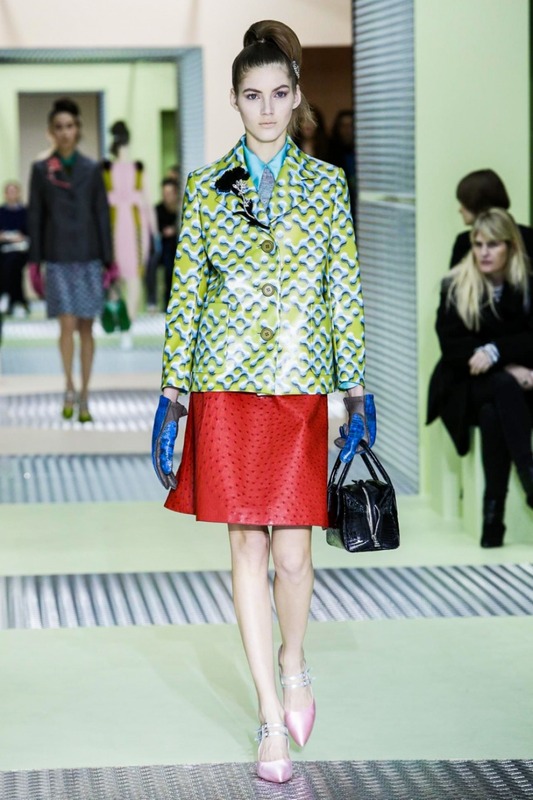 < Versace Fall/Winter 2015-2016 collection – Look in the future but the Runway Looks to fall in love today!